Men’s Shed began in Australia over 11 years ago and is thriving, with evidenced growth to 1,200 Sheds today, especially in rural communities. Studies have shown that participants experienced marked improvement in their health and social skills. 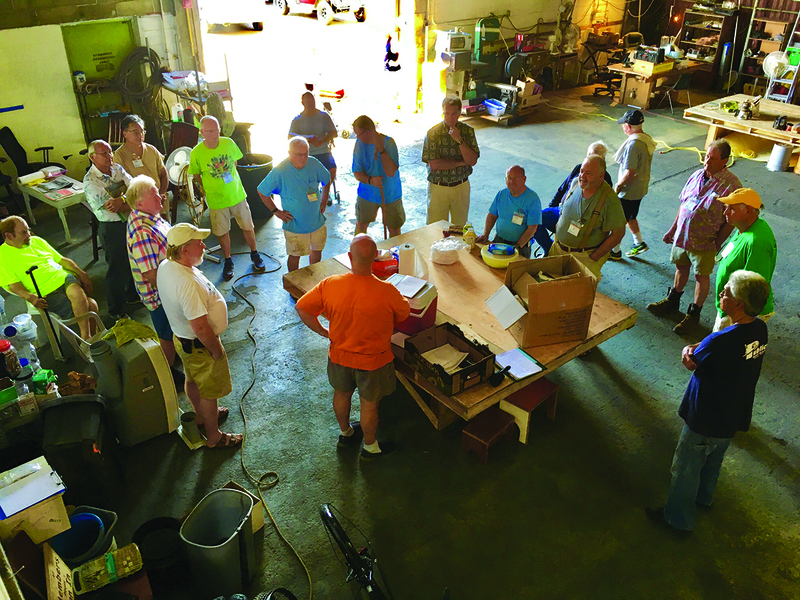 In December 2015, fellow Rotarians began the discussion on chartering Hawaii Men’s Shed, a social organization focused on improving the lives of senior men through social interaction and work-related programs. Hawaii Men’s Shed can fulfill what our growing senior population needs — a place to work and play. In just our third year, membership has grown to 95 members (91 men, 4 women). Shed members come from all vocations and backgrounds, including from the building and related industries. We operate temporarily out of a warehouse near Pier 19. 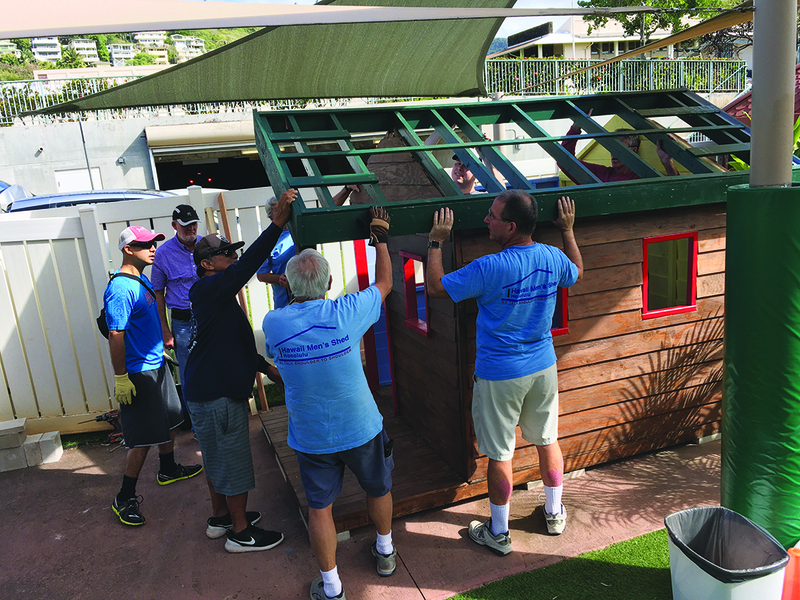 Recently, our Men’s Shed assembled a wood playhouse that we designed, built and later donated to the Star of the Sea Preschool. It is a great example of what our Shed members can accomplish using our planning, design and woodworking skills. Preschool director Lisa Foster notes the important life-play experiences that the new structure is providing for their more than 220 young students. Last year, we donated two picnic tables to the Jefferson Elementary School, refurbished 15 bicycles and finished 100 orchid baskets for a Leeward O‘ahu orchid club. Since our inception, we have accepted donations of materials and tools to fill the specific needs of our many projects. We focus on building sustainability through Shed’s programs on safety, financial well-being, and developing great projects. Our funding comes from members’ dues to cover insurance and administrative costs), donations and grants. Members can avail themselves of Shed tools and materials, and also contribute by serving on our board and in key technical positions. Our vision is to grow Men’s Sheds statewide. So far we are working with interested groups in Hawai’i Kai, Lanakila, Kaua‘i and the Big Island. We encourage all to go to our website or call to check out our Men’s Shed.